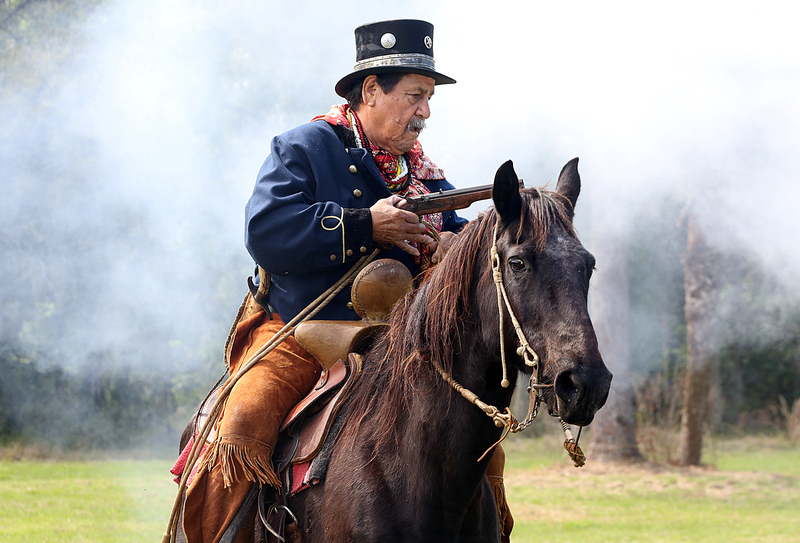 IMMOKALEE — Hundreds of history buffs, schoolchildren and tourists watched history come to life at the second annual Seminole Shootout Battle Reenactment from March 1-3 at the John Jimmie Memorial rodeo grounds in Immokalee. 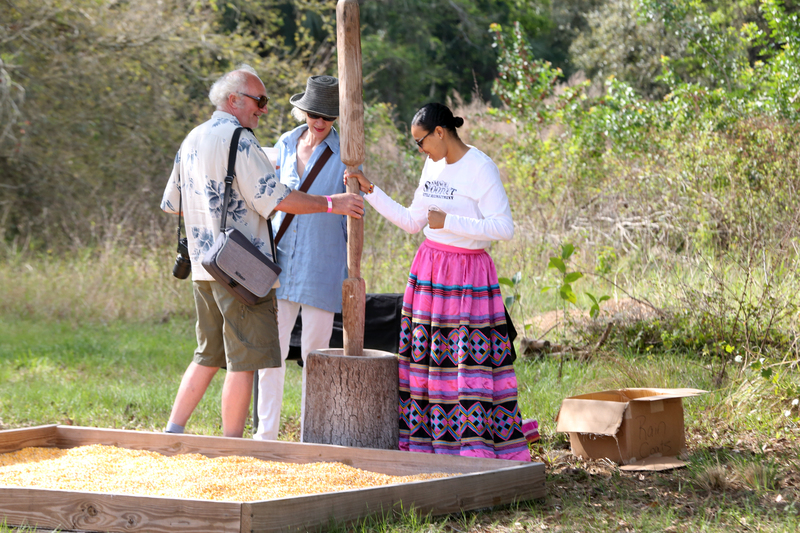 Tribal and non-tribal reenactors played out a scene from the three Seminole Wars, which ran from 1816-19, 1835-42 and 1855-58. The wars against the U.S. Army forced Native Americans further south and deeper into the Everglades. Using guerilla warfare, the Seminoles were able to survive and ultimately defeat the soldiers. 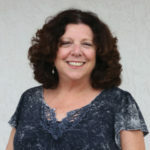 The three wars were considered the most expensive conflicts in the removal of Native peoples in U.S history, costing thousands of Seminole and American soldiers lives, as well as millions of dollars in arms, medical costs, and armed forces. Although most of the Seminoles were killed or moved to Oklahoma, a group of a few hundred survived. The Seminole Tribe of Florida is descended from those survivors. The reenactors use source material to stage the battles at reenactments with the goal of passing along history from all perspectives, not just that of the army. 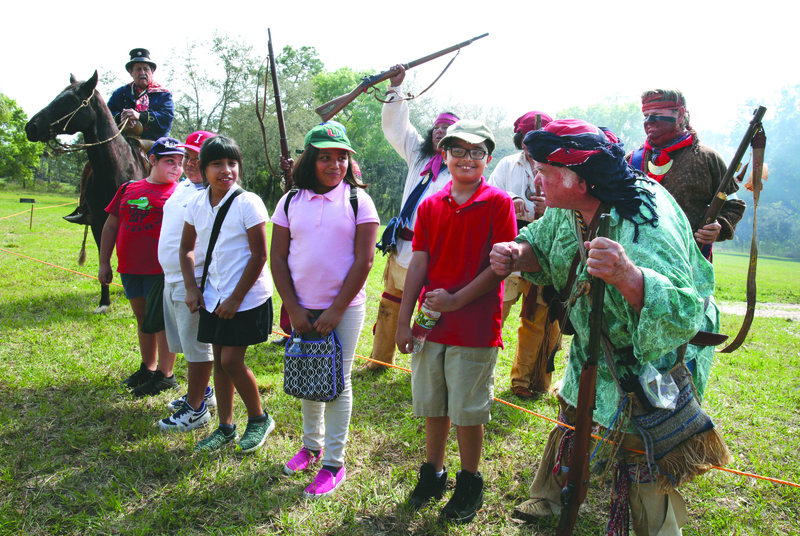 In addition to the reenactment of the Seminole Wars in the 1800s, visitors got a taste of Seminole culture, learned how to throw a tomahawk and saw how settlers and Seminoles lived during the battles. Campsites, which were erected with authentic artifacts from the era, were manned by folks in period clothing who were eager to share their knowledge. Large yellow school buses filled a field across from the shootout on March 1 as more than 750 students from schools in South and Southwest Florida came for a fun, educational experience. That night, about 150 Boy Scouts set up tents and spent the night in the Immokalee culture camp. Surrounded by hordes of students, Jacob Osceola gave some history of and demonstrated how to use a tomahawk. With that, a couple of teachers from each school group learned how to throw them at a target. Osceola said it is like throwing a baseball; the rotation can be controlled by holding it close to the blade. 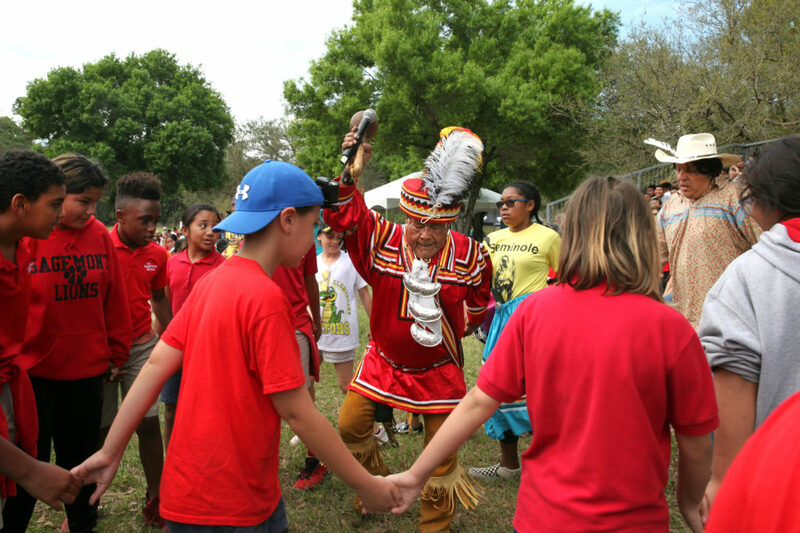 Medicine Man Bobby Henry got things going with a traditional friendship dance, which was followed by the U.S. soldiers losing to the Seminole warriors, alligator wrestling and a critter show with plenty of shopping, food and historical displays. On March 1 and 2, a variety of bands performed, including Bajo Zero, Hatley Band, Jordan Davis and One Night Rodeo. Native American hip hop artist Supaman gave a special performance on Saturday afternoon.